“For fish to understand the water of their environment, it’s not enough to describe different types of water,” says BYU psychology professor Brent D. Slife and his collegues in their new book The Hidden Worldviews of Psychology’s Theory, Research, and Practice. “The fish will not properly appreciate the environment they literally breathe through their gills until they have experienced a truly stark contrast, such as being jerked from the water altogether” (27). They argue that, like fish, people, and psychologists in particular, cannot appreciate the environments they are a part of unless they experience stark contrasts. They would say that in general, neither individuals nor psychologists fully understand and recognize their unique worldviews and how they shape them as individuals and participants in the field of psychology. World views are defined by psychologist Mark Koltko-Rivera as “a set of beliefs that includes statements and assumptions regarding what exists and what does not…, what objectives or experiences are good or bad, and what objectives, behaviors, and relationships are desirable or undesirable…. World views include assumptions that may be unproven, and even be unprovable, but these assumptions are subordinate in that they provide the epistemic and ontological foundations for other beliefs within a belief system” (2). World views create the “foundation” for everything we accept and believe. “Psychology is the product of a particular culture, which has been referred to as primarily WEIRD (Western, Educated, Industrialized, Rich, and Democratic)” (58). The secularized history of psychology has likewise favored naturalistic over theistic approaches. “Many aspects of naturalism are so endemic to psychology’s methods that they are not understood or even recognized to exist as a [world influence]” (48). This influence has set a concrete need for generalization, separation of subjective and objective, and to detect causality in psychology, but these “needs” are not needed in every world view, just the one grandfathered in by psychology. This limits the field of psychology to a singular set of perspectives and demands rather than specific needs that are unique to different peoples and facets of the field. A large majority of psychotherapy methodology is based off of the Liberal Individualism and Strong Relationism worldviews. Therapists not imposing their own beliefs on their clients, the use of self-empowerment in therapy, prioritizing the individual, and seeing a client outside of their personal environment, in a therapy room for example, are all based on Individualism beliefs. Family and group therapy aimed at improving relationships is based on Relationism. These methods and ideologies are often taught and exercised, but never questioned, closing the door on minority worldviews and perspectives and possible approaches to therapy that are not included in these two majority worldviews. Psychologists assume that objectivity in all cases is the best option, but as we’ve stated before, implying that a scientist, psychologist, or client has no worldviews is illogical. When an author of a cross-cultural study, for instance, “said that worldviews of other cultures ‘count,’ they neglected to count in their own worldviews” (59). When we study a different people or culture “we don’t see things as they are, we see them as we are” (63). “The norms of [undergraduate and graduate training] are tacitly perceived and internalized, and by such means, contemporary graduate education forms its students into a certain kind of ethical participant, one who has taken on the normative beliefs, values, attitudes, and practices of one’s discipline…so that they too can become a reliable informant and a trusted member of the intellectual majority” (18-19). The fact that the field of psychology itself is defined by worldviews should be enough to show that it is impossible for people—including psychologists—to live their lives in a worldview-neutral way. The fish cannot stay in its own little world and the field of psychology cannot continue in its blind state ignoring all forms of opposing worldviews. It may be human to guard ourselves against new or different views, but it is inhumane to stop others’ stories and opinions from being shared. In an attempt to keep psychology “pure,” a “reflexivity problem” has formed, says Slife. Psychologists might diagnose patients having minority worldviews with blindness and biases, but fails to see their own blindnesses. Minority worldviews exist, however, and are here and waiting to be heard. When psychologists hear and listen to diverse worldviews, psychology will have more sophisticated research, increased sensitivity in treatment, increased empathy towards clients, a decrease in the transfer of bias, increased policy transparency, more diverse ideas and perspectives on research and analysis, and increased efficacy in social programs (6-7). Worldview awareness and coexistence is where psychology needs to be heading. 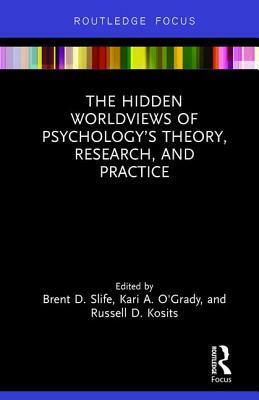 “It’s where psychologists are allowed to be themselves, to come out of their respective worldview closets, and to openly explore the connections between their psychologies and their deepest convictions” (76). “It’s only when different worldview communities are treated in accord with the ethical and democratic values expressed [in this book] that these conditions will be possible. And all boats will rise. The recognizing and nurturing of all worldviews will create a space where all people of all worldviews can contribute to the field to make psychology more inclusive, integrated, and helpful. How can you better recognize and accept other’s worldviews? Previous PostEcon Major Takes First Place in Wheatley Essay Contest, on the Religious Roots of RightsNext PostWhat More Can be Done for College Students With Autism?